OI-7010 Hybrid Gas Monitor with 4 Relays - Otis Instruments, Inc. The OI-7010 is a 32-channel Hybrid Monitor. The device supports up to 32 WireFree sensor assemblies, and up to four 4-20mA input sensor assemblies. The device is backward compatible with Gen I WireFree sensor assemblies, and also supports Gen II Wirefree sensor assemblies (configurable). Each OI-7010 supports one legacy radio and/or one Gen II radio. For international applications, choose 2.4 GHz. Alarm add-ons can be pre-mounted onto the OI-7010 enclosure prior to shipment from the factory. 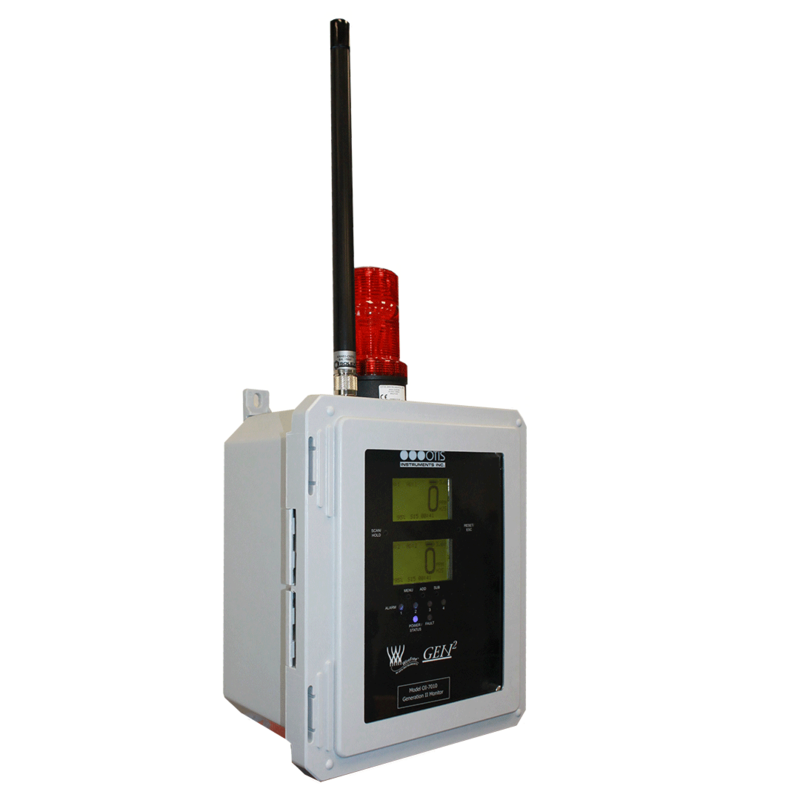 Several hazardous alarm options are available for use with the OI-7010. For additional information, view our Gen II WireFree Price List.